People are voting in a by-election in a suburban constituency in Sydney, which could wipe out the government’s one-seat parliamentary majority. PM Scott Morrison’s ruling Liberal Party is fighting to hold the affluent seat of Wentworth, vacated by his predecessor Malcolm Turnbull. Mr Turnbull was ousted by Mr Morrison in an unpopular party coup in August. 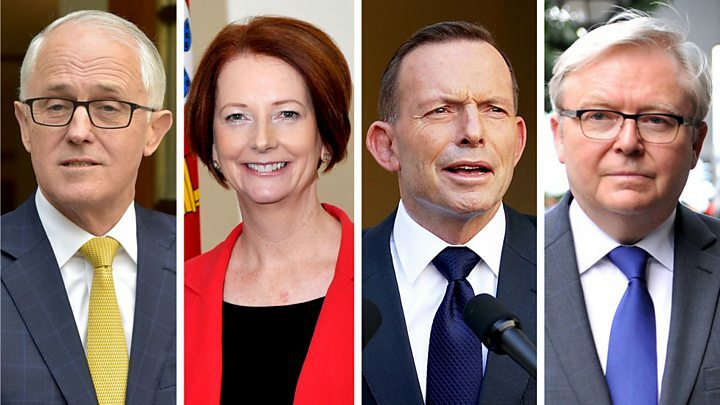 Australia has had six prime ministers in eight years and could face further uncertainty if the Liberals lose. The centre-right party would need to rely on independent MPs to survive confidence votes. Two of the MPs have already vowed not to back Mr Morrison. “The events of a couple of months ago would have caused a great deal of anger and outrage here in Wentworth,” the prime minister told reporters on Friday, seeming to accept the chance of defeat. For that to happen, the constituency would have to register the biggest by-election swing against a federal government in Australian history. But many voters are furious at their former MP’s ousting by Mr Morrison, and opinion polls suggest voters could punish the government. Also controversial in the race is the prime minister’s proposal that Australia could follow the US and move its embassy to Jerusalem. 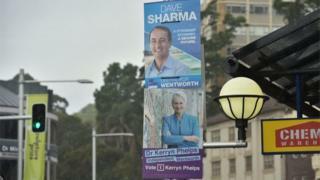 Liberal candidate Dave Sharma is the former Australian ambassador to Israel and first proposed such a move. Mr Sharma’s independent rival for the seat, Kerryn Phelps, has said any decision on recognising Jerusalem as Israel’s capital must take into account trade, security and defence considerations. Polling will close at 18:00 local time (07:00 GMT).